If you live in Glastonbury and are concerned about the health of your children's teeth make an appointment today with CT Pediatric Dentistry. With three locations in West Hartford, North Windham and Unionville we make it easy to find high quality pediatric dental care for your kids. From initial check-ups and extractions to cosmetic dentistry and emergency care we offer a full range of pediatric dental services to keep your kids' teeth healthy and bright. The sooner you get started on educating children about the importance of good oral hygiene the better chance they have of remembering good habits that will lead to healthier teeth. Caring for children's teeth is very important. Today kids are tempted with large soft drinks, sugary treats and fast food and if they don't learn the basics of good oral hygiene and nutrition it won't be long until they are suffering from cavities. We recommend you schedule an appointment with a pediatric dentist when your child nears the age of one. Even if there are no immediate dangers or problems a first visit is a good way to introduce your kid to the dentist and when it's only a check-up there's a much better chance their first impression will be a positive one. At CT Pediatric Dentistry we offer a variety of pediatric dental services including cavities, crowns, extractions, bonding, fluoride treatments and emergency care. 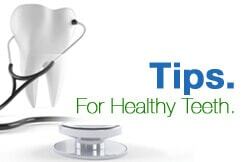 As a parent there are things you can do prior to visiting the dentist to prepare your kids. Teaching good oral hygiene is an ongoing process and the sooner you start educating children about the importance of a healthy diet and brushing teeth the better chance they will develop good habits when it comes to caring for their teeth. You probably won't schedule an appointment for your child until he is at least 12 months old but prior to that you can prep your kid by using a wet washcloth to wipe his gums, lips and tongue after eating. This will introduce children to the habit of cleaning after eating and when their first tooth appears you can gently brush the tooth with a touch of kid's fluoride toothpaste twice a day.